Examples of volunteer activities with children! Every volunteer has different talents and comes from a different cultural and professional background. 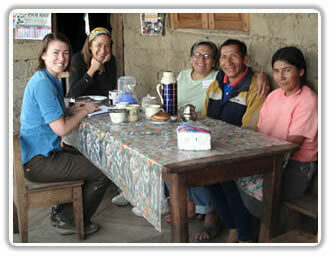 Before starting your volunteer work in South America it is good to know what your strengths (and weaknesses) are. Talking to the project leaders about the possible activities you can do can be helpful, but often it is expected and appreciated that you come up with your own ideas and take initiative. For this it’s important to take into consideration the age group of the kids, whether the volunteer project is set-up for girls or boys only and their social situation. For example, if you choose to work at an orphanage, you can encounter children that have problems with trusting others, and sometimes don’t want to talk or just walk away. At a social rehabilitation home, most children have problems with their families and at an afterschool project it’s difficult to coordinate group activities due to many different schedules.